We flew into Osaka arriving late Friday evening. 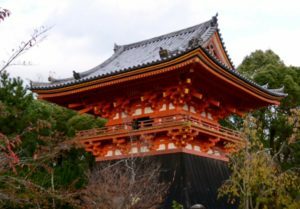 We managed to board the bus to Kyoto right at the last minute for a fairly easy transfer to our hotel in Kyoto. Kyoto is very different from Tokyo – still clean and tidy (although not as clean as Tokyo) but older, a lot less busy and with mainly low-rise buildings. 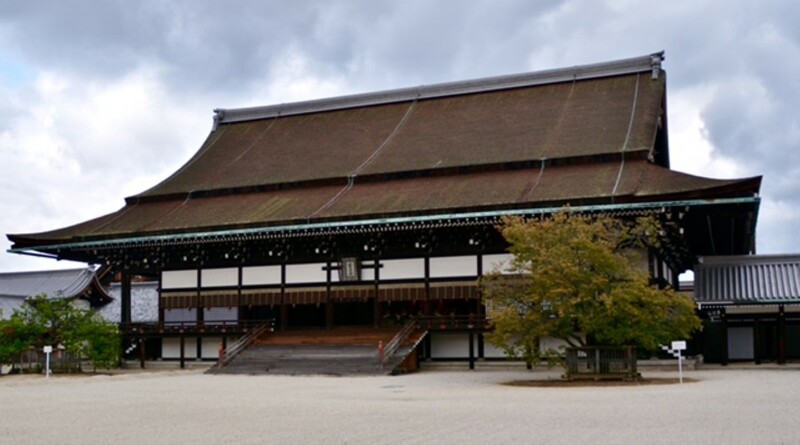 We headed off for a stroll around the city and stopped first at the Kyoto Imperial Palace. 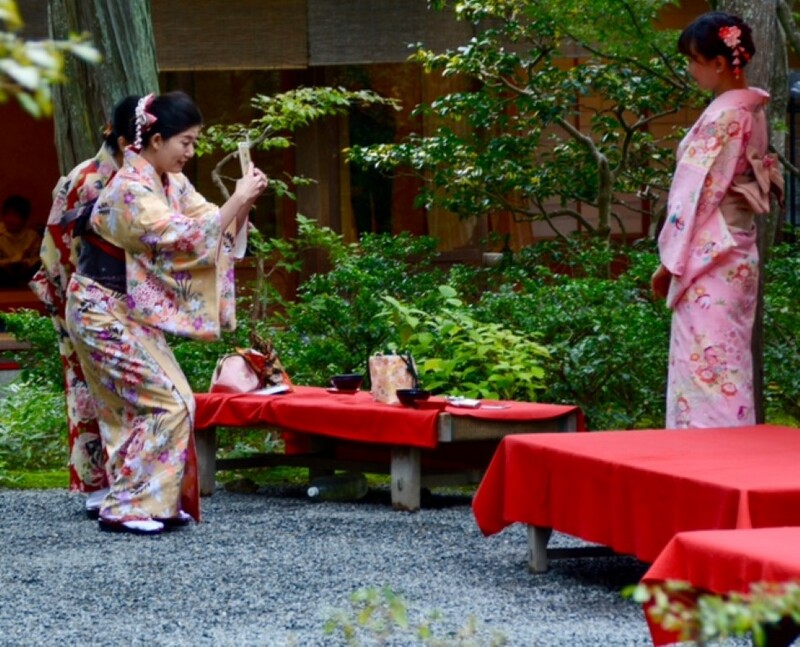 The palace has history dating back to 794AD and was the imperial residence from 1331 until 1869 when Emperor Meiji moved the capital to Tokyo. 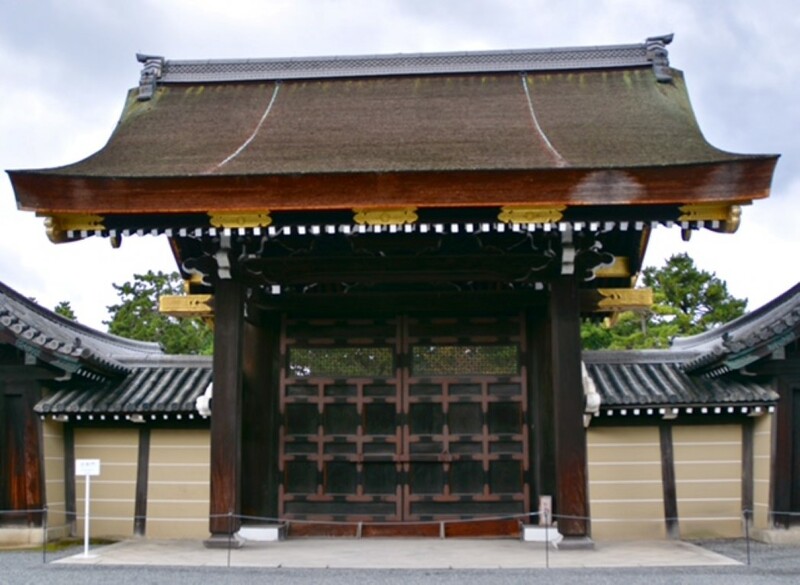 During the intervening periods there was a repeated pattern or destruction by fire and reconstruction. 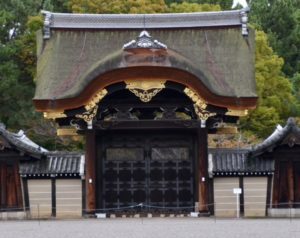 Most of the current buildings date from 1855. 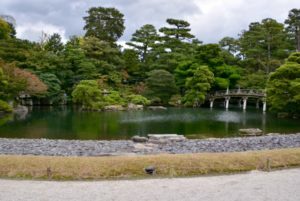 The palace is situated in a large park with some impressive and peaceful gardens. I particularly liked the cedar bark roofs on the buildings. After the palace we continued our stroll, heading North to the base of the hills that surround the city. There we came to the impressive Kinkaku (Golden Pavillion), which is part of the Rokuon-ji Temple. 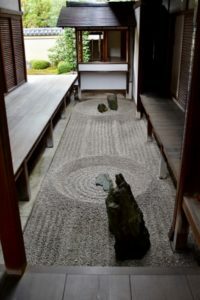 This was the first place in Kyoto where we struck crowds. 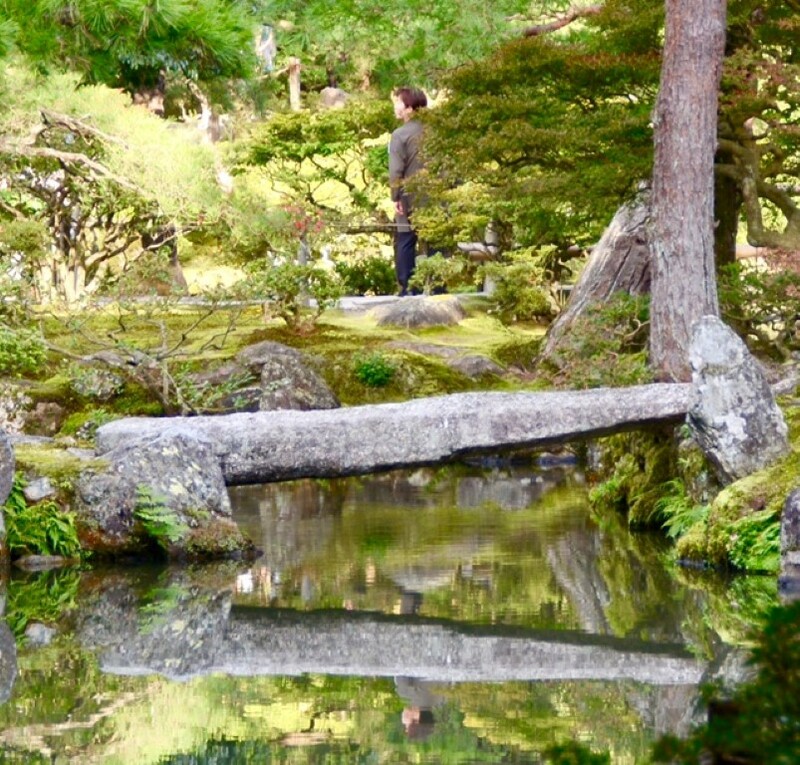 The pavilion is striking, set beside a pond in beautiful gardens, making for some impressive reflections, particularly with the leaves starting to change colours with the onset of Autumn. 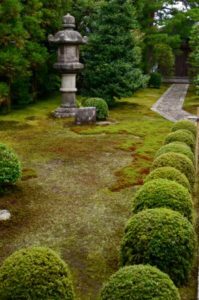 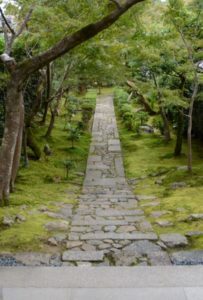 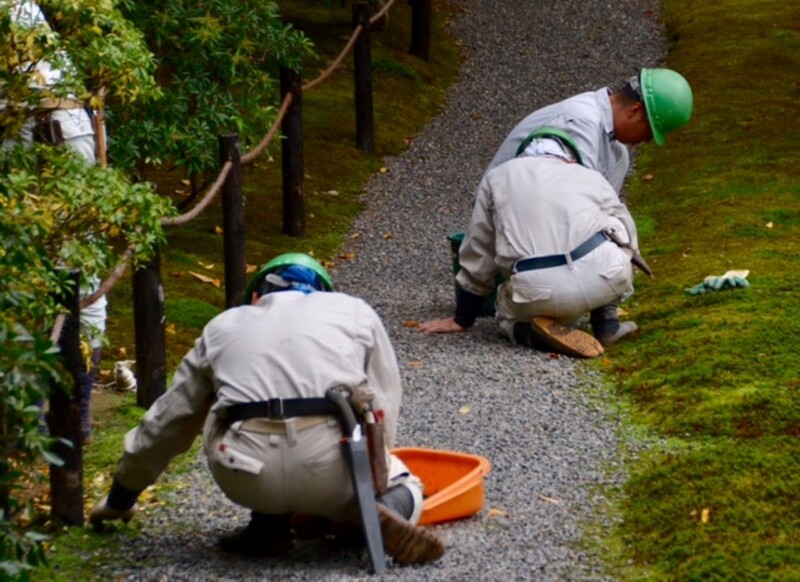 Several gardeners were hard at work keeping the moss gardens immaculate, working on their hands and knees and picking out any foreign objects, dropped leaves etc. 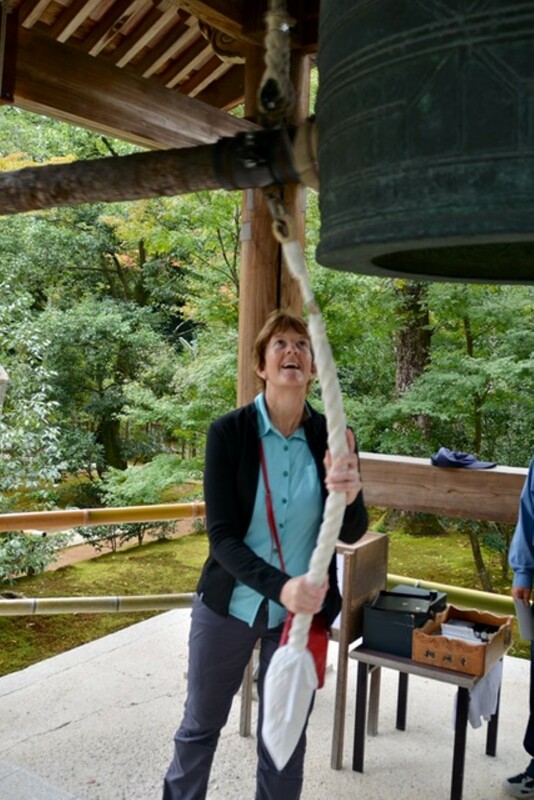 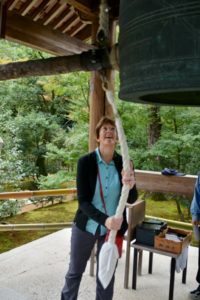 In the gardens surrounding the temple we had the opportunity to ring one of the large bells. 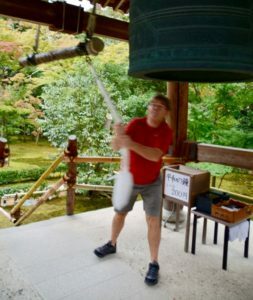 When Roger stepped up he gave it an almighty thwack with the sound resonating around the gardens for some time, eliciting great “oohs and aahs” from the attendants. 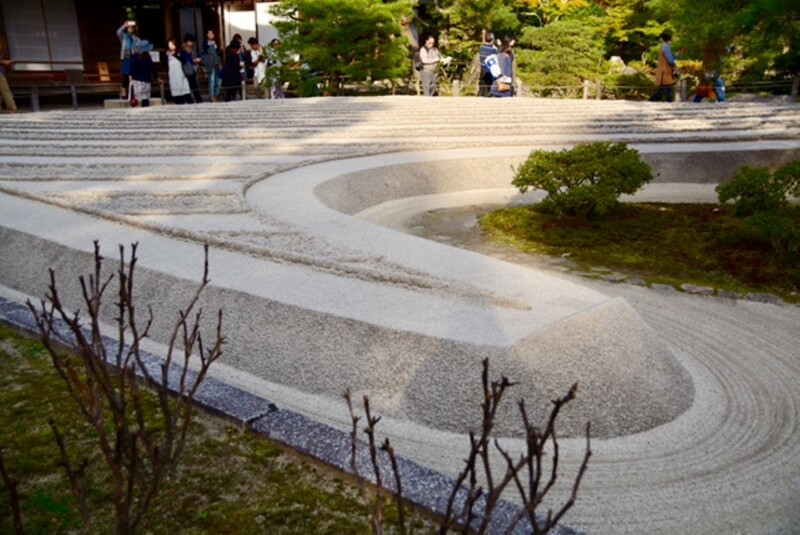 Not far down the road we came across the Ryoanji Temple, a huge temple complex with many Zen gardens. 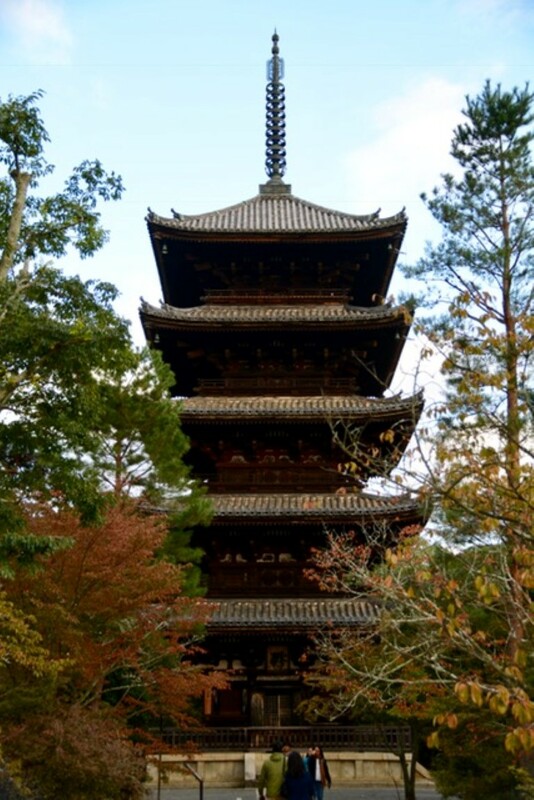 Our final stop before returning to the city was Ninna-ji, a large Buddhist Temple complex with a five-storey pagoda. 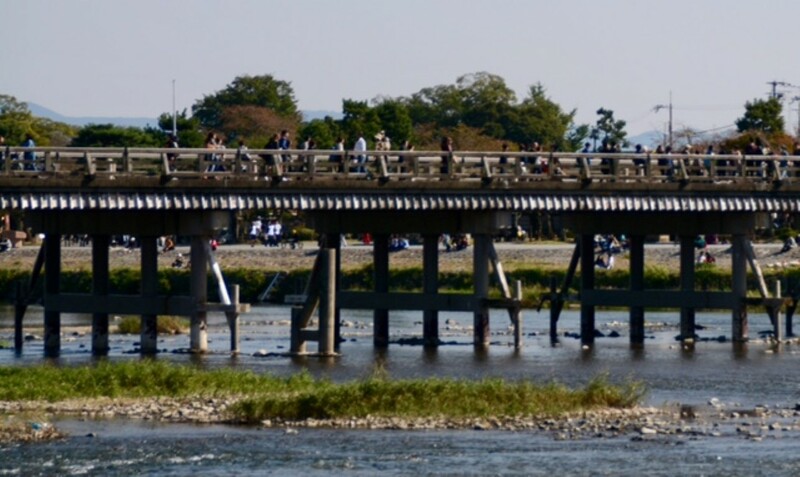 We headed back into the city taking advantage of the excellent public transport infrastructure. 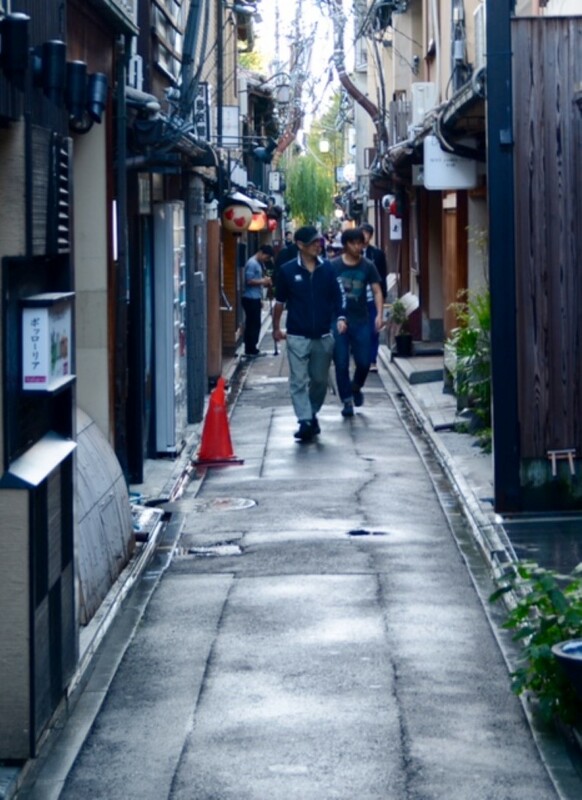 After a brief stop at the hotel we headed out into the Gion area with its narrow alleyways filled with restaurants, bars and more people than we’d seen the rest of the day. 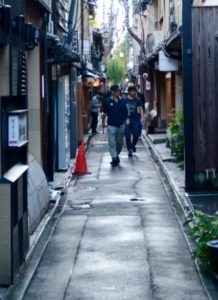 We enjoyed an excellent Italian meal at a restaurant recommended by a work colleague and then wandered the streets of Gion enjoying the atmosphere. We visited the Kodai-ji Temple and enjoyed the light show, effectively highlighting the autumn colours, before calling it a night having clocked up roughly 24 kms of walking during the day. 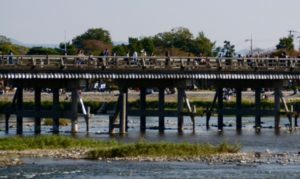 We decided we’d seen enough temples yesterday so decided to head out to Arashiyama on the western side of Kyoto. 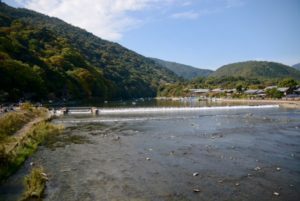 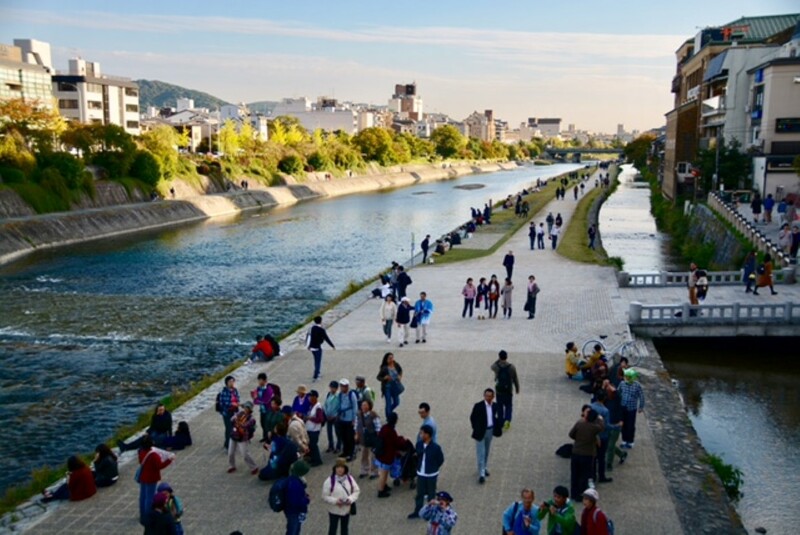 Arashiyama is a picturesque area of town, nestled in under the mountains with a river running through. 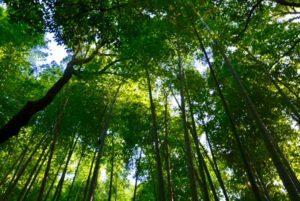 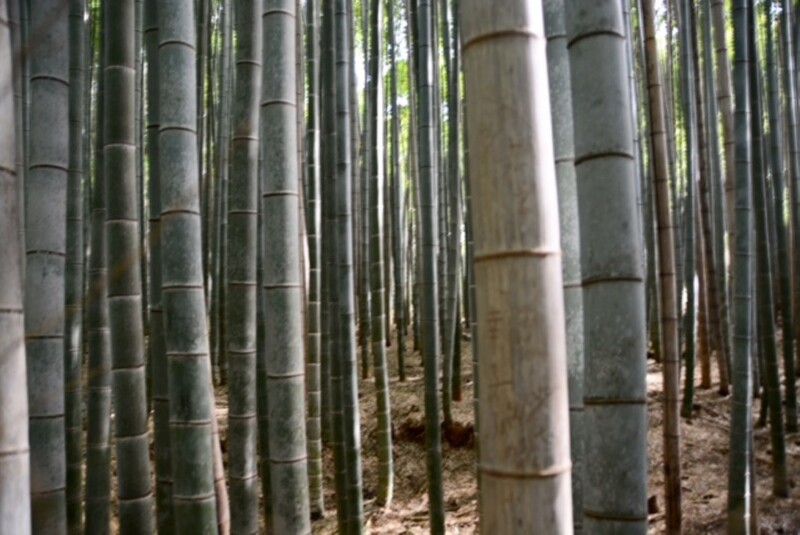 We strolled along the river to the Bamboo Grove, a 500m long grove of tall bamboo that is quite ann incredible sight. 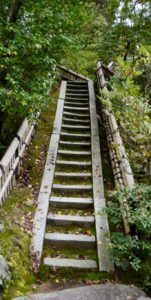 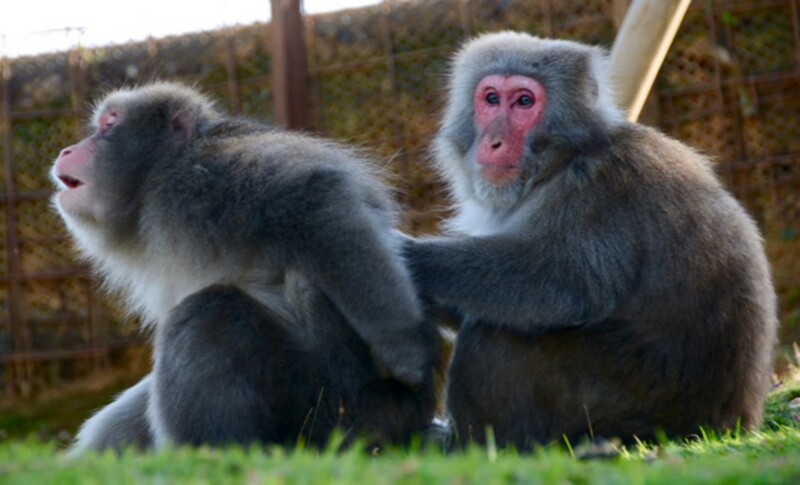 We took time to wander around the park area with some lovely views over the river, then headed to the Iwatayama Monkey Park, home to over 120 Japanese macaques, all living freely within a large reserve. The summit provided views over the city and the ability to wander among the macaques. 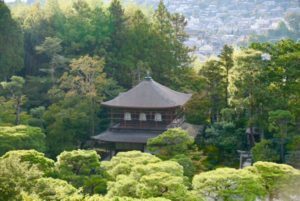 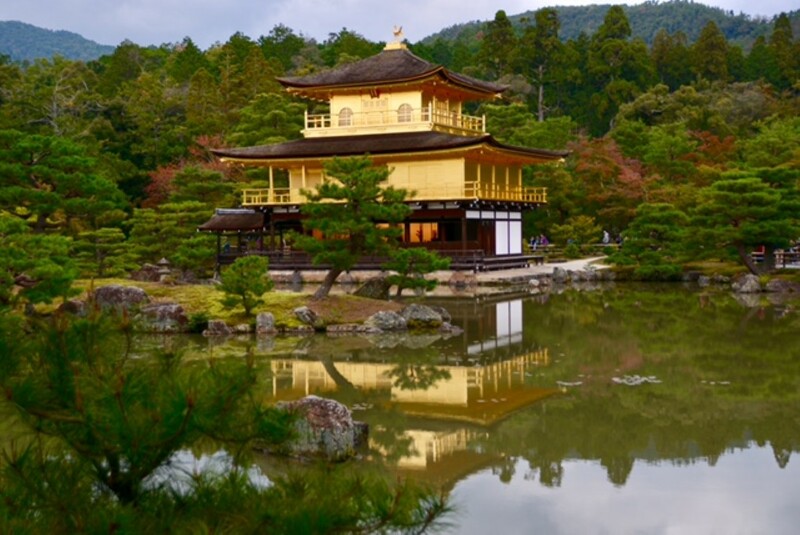 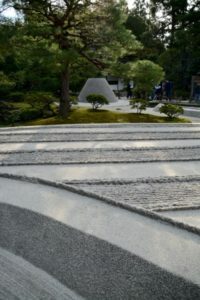 I was keen to visit Ginkakuji, the Silver Temple, expeting something akin to the Golden Temple we had seen yesterday. 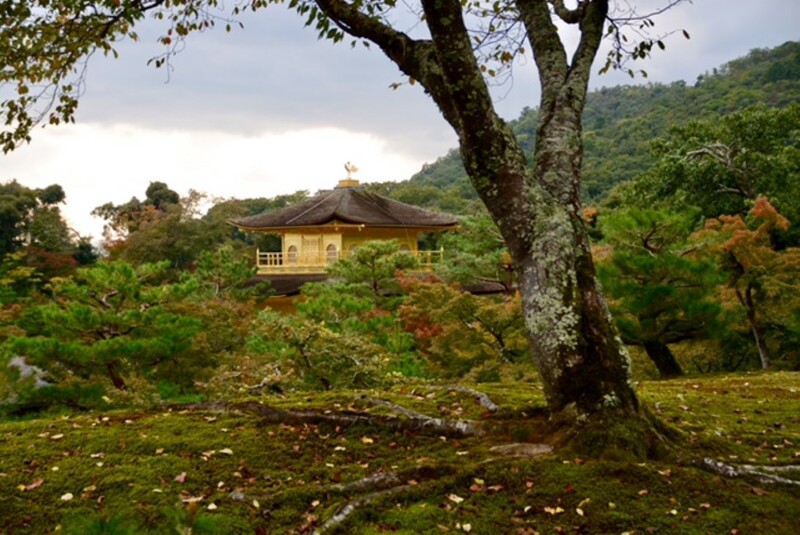 We headed out to the Eastern side of Kyoto and while the site was impressive I still haven’t figured out why it is called the Silver Temple – perhaps it is silver inside!?!? Once again we finished the day in the Gion area, this time sampling some delicious Japanese cuisine. 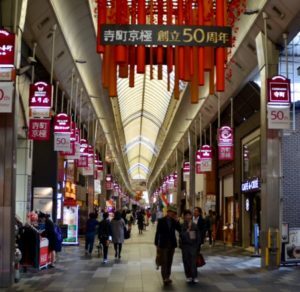 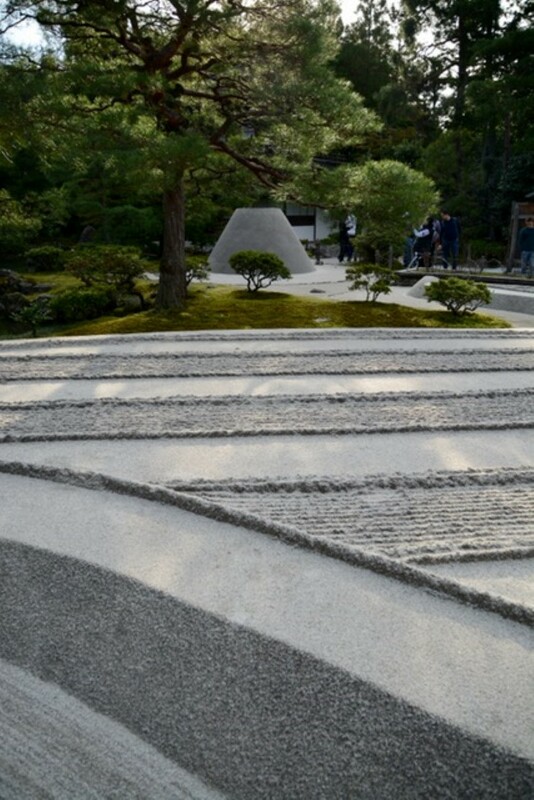 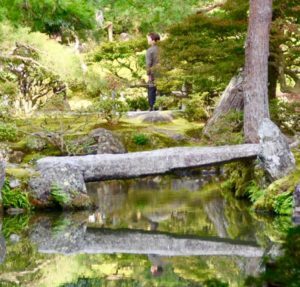 Murray and I loved seeing these… Good to see places he visited when he travelled Japan. He says you Roger probably cracked the bell, which is why it resonated so much!